The Maimonides Bone& Joint Center is pleased to announce that Dr. James Tucci, Pediatric Orthopedic Surgeon, has joined our team. 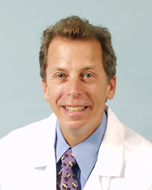 Dr. Tucci has been a practicing pediatric orthopedic surgeon for over 20 years at his Downtown Brooklyn Location. He is board certified and a fellow of the American Academy of Orthopedic Surgeons. He is also a member of the Pediatric Orthopaedic Society of North America and has published articles in the Journal of Pediatric Orthopedics and the Journal of Sports Medicine, and has presented to peer groups throughout the country. Dr. Tucci is now accepting appointments at 6010 Bay Parkway, 7th Floor. Please call 718-283-7400 for more information. Please send us your Dr. James Tucci – Pediatric Orthopedic Surgeon – Joins Maimonides Bone & Joint Center questions or any questions to our friendly staff via our online Contact Form. You may also contact us at or visit our office at 6010 Bay Parkway, Brooklyn, NY 11204.